The verdict follows other large awards in states across the U.S. Mother of two Teresa Leavitt is dying of mesothelioma, a cancer of the tissue that lines the lungs. In a lawsuit, she stated that baby powder was used on her as a child, and that she continued to use baby powder as an adult, as a dry shower and as a foundation for her makeup. Her mesothelioma is advanced, and doctors do not expect her to live past 2020. In March, an Oakland jury awarded Ms. Leavitt and her husband a total of $29 million dollars in compensatory damages. In doing so, the jury found manufacturer Johnson & Johnson 98% responsible for the award, with one of its former suppliers liable for the remaining 2% of the award. According to a California personal injury attorney, this award is the latest in a series of massive jury verdicts against Johnson & Johnson and other manufacturers of talc-based products. Talc is a soft mineral that has long been used in products such as baby powder. In recent years, a spate of lawsuits have been filed against Johnson & Johnson, accusing the manufacturer of hiding the fact that its products may cause cancer. These lawsuits have revealed documents that show that Johnson & Johnson was aware that its talc products contained asbestos since the 1970s. There are more than 13,000 lawsuits pending against Johnson & Johnson currently. These lawsuits are based on one of two theories: that talc-based products contain asbestos, leading to lung cancer, or that the use of talc products on the genital area has caused ovarian cancer. To date, juries have awarded plaintiffs in these cases billions of dollars in damages for their losses. As an experienced California personal injury attorney can explain, these cases are important for the victims and their families, who may be able to seek compensation for the harm that they have suffered from using dangerous or defective products. In the Leavitt case, the jury found that Johnson & Johnson was liable because its baby powder product was a substantial contributing factor in Teresa Leavitt’s cancer development — and because the manufacturer failed to adequately warn consumers about the potential dangers of using its products. In addition, the talcum powder lawsuits may be vital for public health and safety. Through these legal claims, attorneys have uncovered documents that reveal (among other things) that Johnson & Johnson may have targeted its marketing of talcum powder products to Black and Latina women, that it was aware that its products presented a risk of cancer, and that it knew that asbestos had been found in its talcum powder supply. By publishing these documents, the public has been alerted to the dangers associated with using baby powder and other talc products. 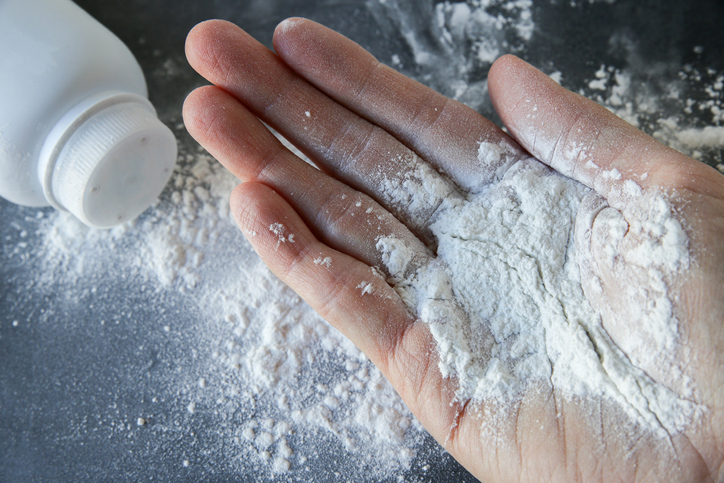 If you have suffered an injury related to a dangerous or defective product like baby powder, PLBSH can help. Contact our firm today at (800) 435-7542 or info@plbsh.com to schedule an initial consultation with a skilled California personal injury attorney and learn more about how we can assist you.